A few months after Google Calendar added support for handling webcal: links in Chrome, Gmail can now become the default handler for mailto: links. If you open Gmail in Google Chrome, you'll see an infobar at the top of the page that asks if you "allow Gmail to open all email links". Just click "use Gmail" and all the mailto: links (like admin@google.com) will open using Gmail, instead of a native mail client like Outlook or Thunderbird. "Chrome allows web services to ask if you'd like to use them to open certain links. While most links generally take you to another page, some links can open programs and perform other actions. For example, mailto: links can open your email program and webcal: links can add events to your calendar program. These links are referred to as protocols and the programs they use are called handlers. 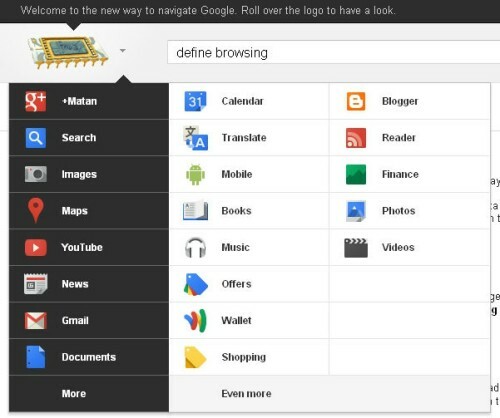 Many web services these days, including Gmail and Google Calendar, can act as handlers," explains Google. To edit protocol handlers in Chrome, open the settings page, click "Show advanced settings" at the bottom of the page, click "Content settings", then "Manage handlers" and select "Gmail" from the site dropdown. Another option is to open a new tab and paste this in the address bar: chrome://settings/handlers. By default, you'll see an almost empty page with no active handler. You can add protocol handlers from the sites that support this feature: Gmail, Google Calendar (and other services in the future). 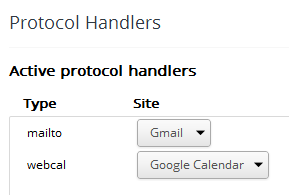 Chrome is a little late to the party: Mozilla added support for protocol handlers in Firefox 3, back in 2008 and you can set Gmail as default handler for mailto: from the options dialog. In an interesting response to Kevin Fox's question about the updated "new tab" button, Chrome's Peter Kasting said that "good design involves hav[ing] a clear and consistent vision for the product which is then informed by user input, not enslaved to it. I think Chrome as a whole shows a remarkable design consistency and focus that Google products as a whole have not always had. I don't think that's an accident. It's a direct result of a process that uses a small group of consistent leaders, rather than endless end-user trials of everything, to make decisions." Glen Murphy, Chrome's design lead, makes it more obvious: "We're trying to sculpt Chrome down to the perfect browser, and sometimes that means making painful consistency changes in aid of that long-term vision. While we want to minimize disruption for existing users, most people on earth haven't used Chrome, and we have to make the best and most awesome browser possible for them." Chrome is the browser that has great default options, few settings and an interface that hasn't changed all that much over the years because it was carefully thought out and reduced to the essence. Just like the iPhone and its OS. 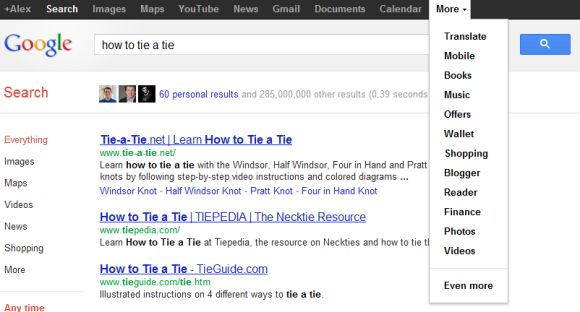 Sometimes it's difficult to understand Google. A few weeks after dropping the non-obvious navigation menu from the desktop UI, Google tests a new mobile interface that uses the same menu. 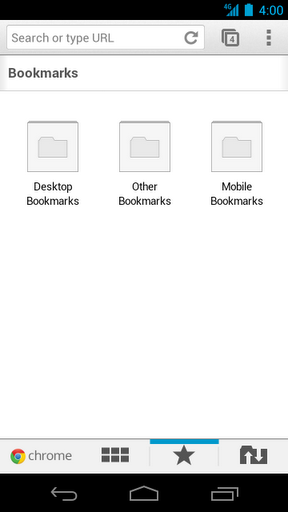 Cascading menus on a mobile device? They're too large and many Google services are missing (Reader, Blog Search, iGoogle, Product Search, Google Finance, Picasa Web, Google Talk, Google Tasks), not to mention that there's no room for displaying Google+ notifications. Back in November 2010, a comment from the Google Docs source code revealed some new features that will be available: third party apps, Cloud Print integration and sync. It turns out that the upcoming Google Drive release will add support for third party apps and Google will also include a SDK for developers. 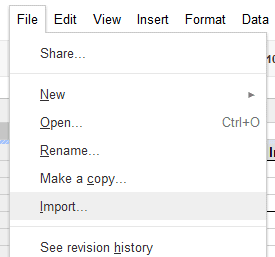 This way, you'll be able to open the files stored in Google Drive using non-Google apps. The Google Docs source code mentions "SDK" several times in connection with Google Drive and the "open with" feature. There's also an interesting message that suggests Google Drive will integrate even more with Gmail: "Say goodbye [to] email attachments and hello to real time collaboration. Drag anything shared with you to My Drive for easy access." In a recent article, Wall Street Journal reported that GDrive "is expected to launch in the coming weeks or months and will be free for most consumers and businesses. Google will charge a fee to those who want to store a large amount of files." Most likely, Google Drive is an important upgrade to Google Docs that will detach the online storage service from the Google Docs apps and will make it more useful by offering more free storage, syncing apps and integration with web apps developed by other companies. When Google released the Android app for Google Docs, the application didn't include many features that weren't available from the browser. The latest updates made the app more useful: there's a better tablet interface, offline access to your documents and now you can edit documents collaboratively. The most powerful Google Docs feature (real-time collaboration) is now available on Android devices and you don't have to switch to the desktop interface. You can see the changes in real-time and all you edits are saved almost instantly. 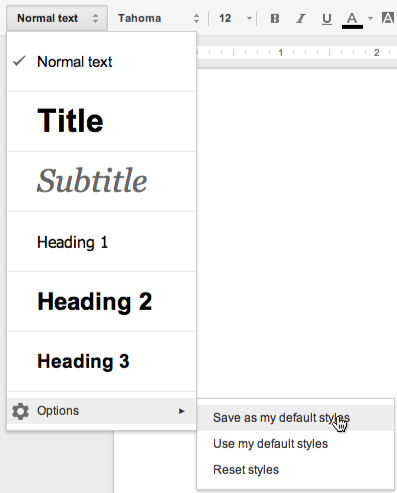 While the Android editor lacks many features that are available in the desktop version, you can use rich text formatting: bold the text, change the color, create lists, indent paragraphs, undo and redo the changes. "We've brought the collaborative experience from Google Docs on the desktop to your Android device. You'll see updates in real time as others type on their computers, tablets and phones, and you can just tap the document to join in. 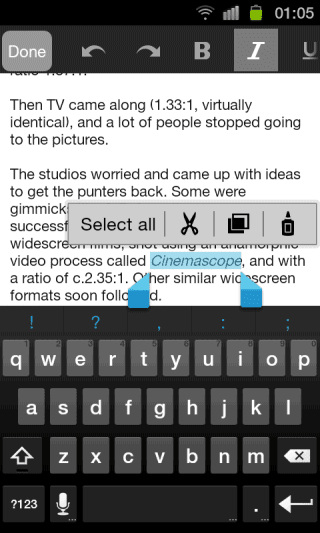 We also updated the interface to make it easier to work with your documents on the go. For example, you can pinch to zoom and focus on a specific paragraph or see the whole document at a glance," informs Google. Suddenly, the mobile web app pales when compared to the native app and that's probably the reason why the Google Docs mobile site promotes the app every time you go there. This year's doodle is actually a video that uses Tony Bennett's song "Cold, Cold Heart" to tell the story of a boy who tries to find a gift for the girl he loves, but fails to impress her. The doodle is available if you visit Google Australia, Google Japan and other domains for countries that celebrate Valentine's Day because it's already February 14 there. 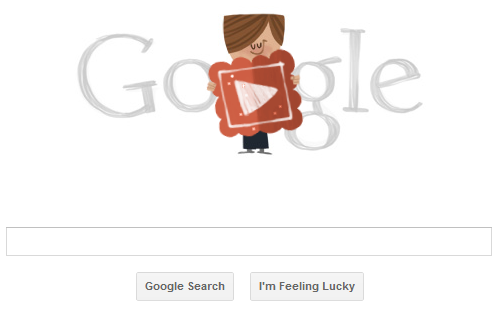 Here are the other Google doodles for Valentine's Day. Google admitted that the navigation UI launched last year wasn't good enough and brought back the black bar (the color is actually dark gray). Some of the features from the old interface are still available: the list of services, the notification and sharing boxes, the settings menu. "The new design retains many of the feature changes we made in November that proved popular, including a unified search box and Google+ sharing and notifications across Google. The biggest change is that we’ve replaced the drop-down Google menu with a consistent and expanded set of links running across the top of the page," explains Google. 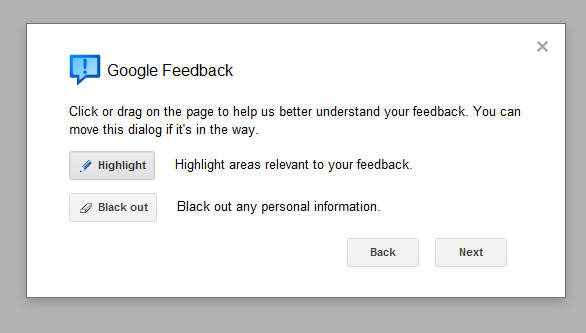 Google's feedback tool that's used in many services for reporting bugs has a new interface. 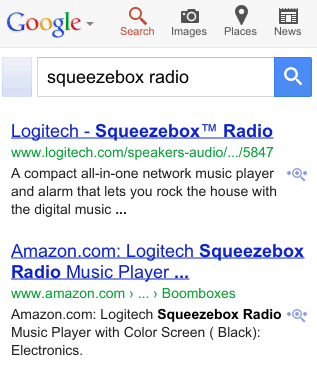 It looks much better and it doesn't open a new page to show the information that's sent to Google. You can also see a list of all your bug reports. "Google Feedback lets you send Google suggestions about our products. 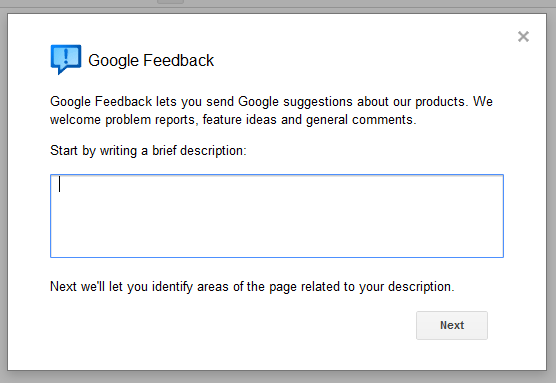 We welcome problem reports, feature ideas and general comments," informs Google. To try Google Feedback, go to Gmail, click the "settings" menu and then "report a bug". 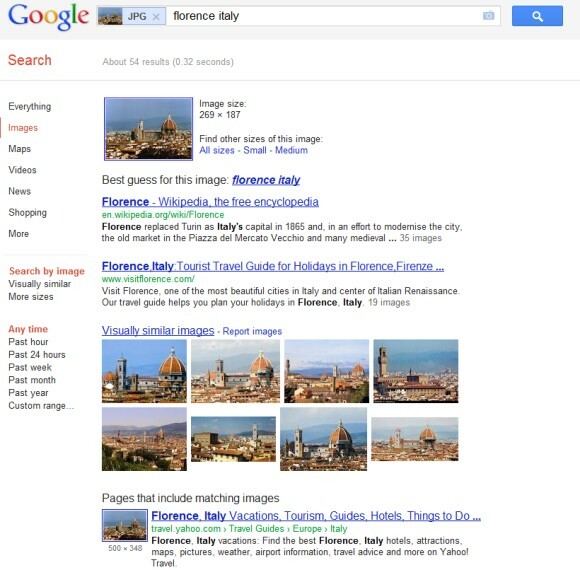 A similar feature is available in Google Docs, YouTube and many other Google services. 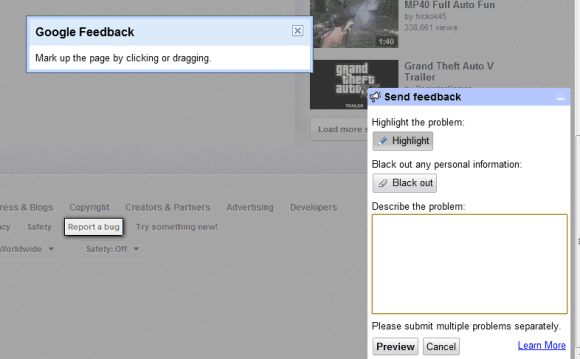 You can see the old version of Google Feedback if you click "Report a bug" in YouTube's footer when you watch a video. 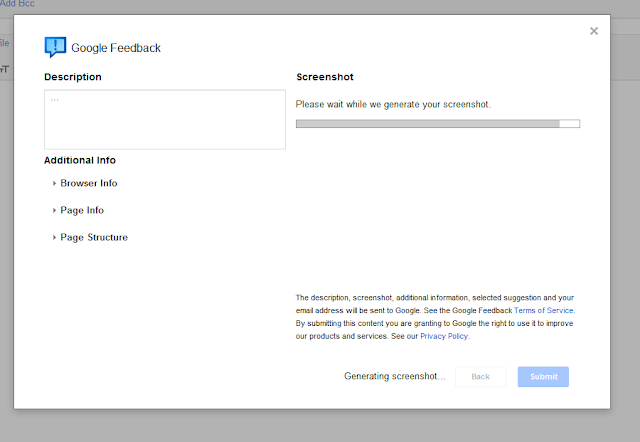 Google Feedback started as an extension and now it's a web app. 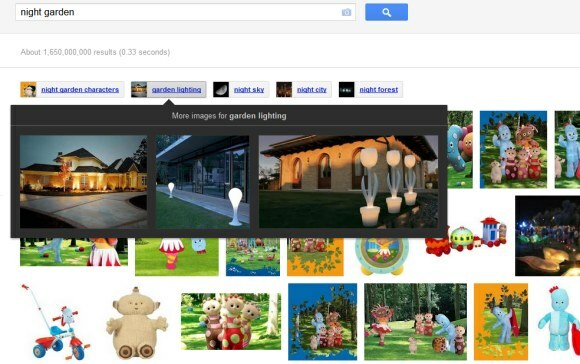 Here's a simple way to learn more about a Google image search result without actually clicking it. 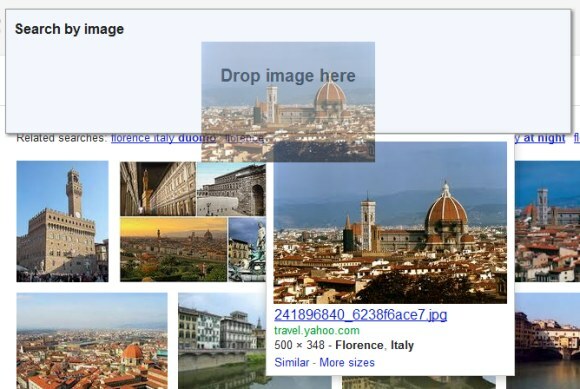 Just drag the image to the search box and you'll be able to use "search by image" to find similar images and pages that include the image. You can also mouse over the result and click "similar" or click the result and use the "search by image" feature, but drag-and-drop is faster. Another advantage is that you can edit the query and filter the results. For example, you can find pages that include the image and the word "hotel". 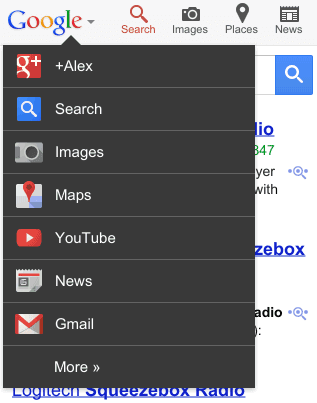 While Google hasn't abandoned the navigation bar launched last year, both the old and the new interface are used today. If you load google.com in Chrome's incognito mode, the old interface shows up more often than the new UI. The simplified interface made navigation more complicated, even if it looks better than the black bar. Google even tests a slightly updated version of the old bar that uses the services from the new UI, more spacing and a different color scheme. Then press Enter and close the console. If you're not in the US and you're using a different Google domain, replace ".google.com" with your domain in the code (for example: ".google.co.uk" in the UK). 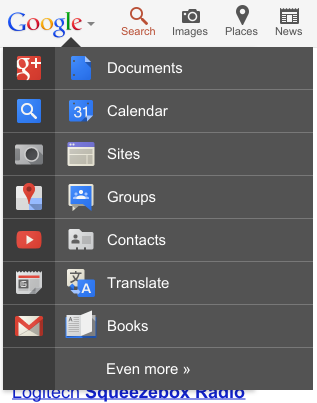 Just in case you don't like the Google Groups interface and want to customize it, there's a new light gray theme you can try. Just click the settings button, click "Themes" and select the "soft gray" theme. This only works in the new Google Groups interface. A similar theme is also available for Gmail and it will be interesting to see if Google Groups will add support for the other Gmail themes. 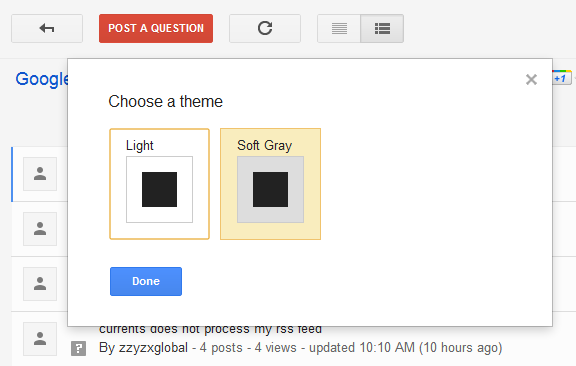 Maybe apps like Google+, Google Docs, Google Reader and even services like Google Search will support Gmail's color themes. 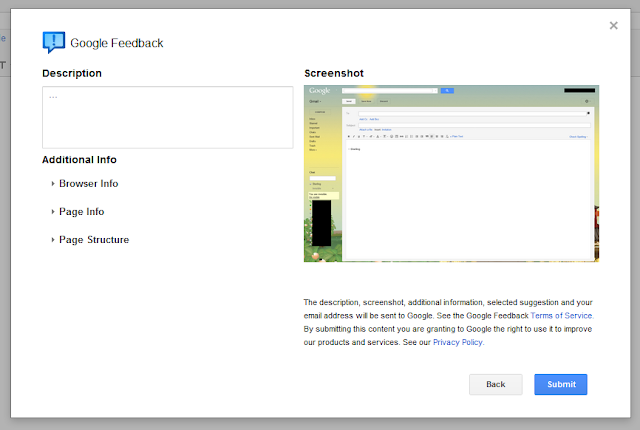 Google doesn't like to manually review user-generated content. It's not efficient and algorithms can do a better job. Imagine how many people would need to be hired to watch all the videos submitted to YouTube (60 hours of videos uploaded every minute). 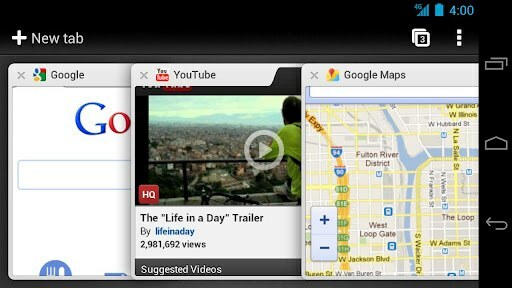 In some ways, uploading an application to the Android Market is just like uploading a video to YouTube. Sure, you need to pay a fee, but you don't have to wait until a Google employee checks the application. Unfortunately, this also means that the application can include malware, deceive users, crash or spam your contacts. Google usually reviewed the app only after enough users reported that the app is malicious. Now there's a new service called Bouncer "which provides automated scanning of Android Market for potentially malicious software without disrupting the user experience of Android Market or requiring developers to go through an application approval process. The service performs a set of analyses on new applications, applications already in Android Market, and developer accounts. Here's how it works: once an application is uploaded, the service immediately starts analyzing it for known malware, spyware and trojans. It also looks for behaviors that indicate an application might be misbehaving, and compares it against previously analyzed apps to detect possible red flags. We actually run every application on Google's cloud infrastructure and simulate how it will run on an Android device to look for hidden, malicious behavior". That seems like a great idea: Google actually tests the apps without having to wait until other users install them and notice there's something wrong. The bad news is that this service was tested last year and was used to find potentially-malicious apps. Despite that, the apps infected by DroidDream were found by a security vendor and not by Google. "The service has been looking for malicious apps in Market for a while now, and between the first and second halves of 2011, we saw a 40% decrease in the number of potentially-malicious downloads from Android Market. This drop occurred at the same time that companies who market and sell anti-malware and security software have been reporting that malicious applications are on the rise," says Google. Another explanation could be that Google's service is not good enough. Google also says that Android "makes malware less potent" because it uses sandboxing, it displays the list of permissions and Android Market can remotely remove malware. I don't think that most of the users read the list of permissions. They simply ignore them, click "OK" and install the application. Maybe it would be a better idea to require users to explicitly enable sensitive permissions when they're using the apps. While security vendors try to scare Android users and push their products, Google should focus on removing spam and malware from the Android Market and make it a safer place. Improving Android's security model and finding ways to install security updates faster are also important. 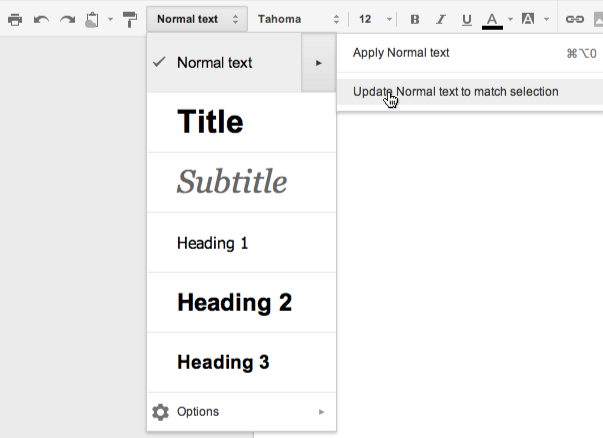 An upcoming Google Docs update will bring a better interface for selecting paragraph styles and new features that lets you customize styles. Google Docs will also add some new open source fonts from the Web Fonts project: Amaranth, Arvo, Dancing Script, Lobster, Merriweather, Open Sans, Philosopher, Quattrocento. Google has recently updated the Android app for Google Docs and added offline support, while also improving the reading layout for tablets. Update (February 6): Custom styles are now available.